An introduction to “nomadic computing” with Linux. Resources for learning C++ under Linux. One way to connect to the Internet. 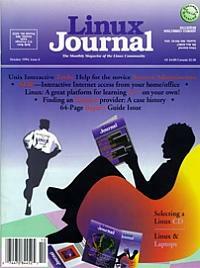 Product Review Unix Interactive Tools by Clarence Smith, Jr.